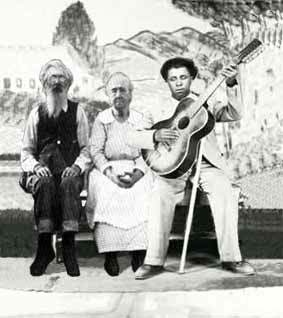 Prior to a great re-release from Document Records, Jesse & Lula are photographed here with one of their heros, Blind Willie McTell. Document are proud to present 3 great CDs, Blind Willie McTell 3-disc Box set (DOCD-5677) and Bunk Johnson Volumes 1 & 2 (DOCD-1001, DOCD-1010). All three CDs have been digitally remastered, have new cover art and informative booklets.